SAN JOSE, Calif.--(BUSINESS WIRE)--Oct. 2, 2018-- Zscaler, Inc. (NASDAQ: ZS), the leader in cloud security, today announced that it has appointed Micheline Nijmeh as Chief Marketing Officer (CMO). Nijmeh will be responsible for global marketing with a focus on driving revenue and brand recognition for the company. 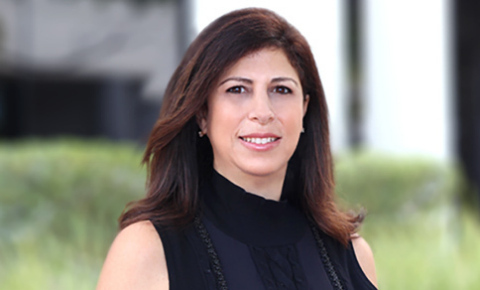 An experienced marketing executive, Nijmeh brings more than 15 years of enterprise marketing knowledge to Zscaler. Nijmeh will report directly to Zscaler Chief Executive Officer, Jay Chaudry. Zscaler enables the world’s leading organizations to securely transform their networks and applications for a mobile and cloud-first world. Its flagship services, Zscaler Internet Access™ and Zscaler Private Access™, create fast, secure connections between users and applications, regardless of device, location, or network. Zscaler services are 100% cloud delivered and offer the simplicity, enhanced security, and improved user experience that traditional appliances or hybrid solutions are unable to match. Used in more than 185 countries, Zscaler operates a multi-tenant, distributed cloud security platform that protects thousands of customers from cyberattacks and data loss. Learn more at zscaler.com or follow us on Twitter @zscaler. Zscaler, Zscaler Internet Access, and Zscaler Private Access are trademarks or registered trademarks of Zscaler, Inc. in the United States or other countries.